Have you ever gone on vacation with your kids and then felt like you needed a vacation after the vacation? Create the essence of a family resort at your house. 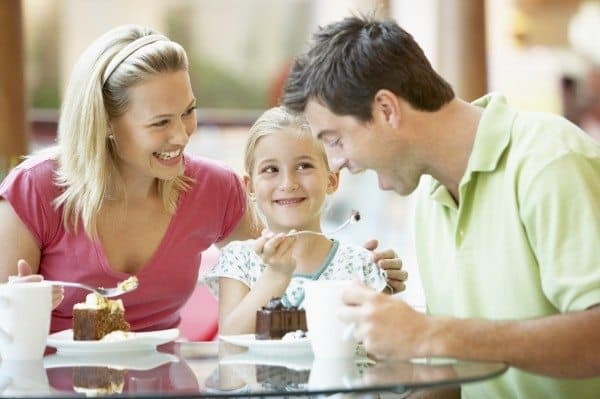 Try these five tips to make staying at home with your family feel like an enjoyable vacation. 1. Buy snacks. One of my family’s mottos is “Never underestimate the importance of snacks.” Special food can make an ordinary weekend feel downright celebratory. Stock up on foods like popsicles, popcorn, lemonade, and fruit. 2. Create quiet hours. Only run the dishwasher or washing machine at certain times of the day, making sure to avoid the times for movie watching or reading books. Turn off your phone. 3. Clean up the worst messes, but leave the rest. Now is the time for the most simple cleaning possible: maintaining the dishes and putting away a few things. Keep the toys in the play areas and out of the living room and kitchen. Put away your home maintenance list for another weekend. 4. Do vacation activities. When you go on a trip, you’re a little more open-minded and willing to say yes. At home you tend to stay in your usual routine, so shake things up a bit. You don’t have to go on an extended road trip to have a picnic. The only thing keeping you from doing fun things at home is yourself. You just have to decided to do it and then make the small amount of effort. Spread your blanket out at the park and bring a basket of snacks. Set up movie night in your backyard. Use your hammock. 5. Take a family nap. Oh my heavens, I love family nap on Sunday afternoons. The kids sleep longer because their parents are sleeping too, and everyone wakes up feeling refreshed. Try taking a nap instead of getting caught up on work while the kids are sleeping like you normally would. How do you create a vacation atmosphere at home? Here’s my little add-on tip: Go somewhere in your town that you’ve never been to before. Make it feel like you traveled somewhere miles away but you’re really just a few miles away! There are cool hiking trails near my old house that I never knew about before, and then my friend took me, I began to appreciate my neighborhood so much more. we’ve done the stay-cation once or twice and we tuned out. meaning, no phones, no internet, no tv. at all. we figured that once upon a time going away for the weekend meant being out of contact for a few days and it felt good to ‘unplug’ from it all. Item #4 on your list is so true. I just wrote a blog post along those lines. With very little effort you can really bring the magic of vacations to your stay-cation. There are plenty of activities families can do and communities nowadays are so rich with experiences, it’s amazing what you can do. Thank you for the post. Oh the Sunday afternoon nap…treasured in our house too!